Politics • New House panel leader has ripped whole-body-imaging machines. Washington • The Transportation Security Administration's biggest congressional critic will soon take charge of the House panel that oversees the agency. Rep. Jason Chaffetz's new assignment is part of the transition to a Republican majority in the House after the elections in November. Rep. Darrell Issa, incoming chairman of the Oversight and Government Reform Committee, has asked Chaffetz, R-Utah, to lead the subcommittee that focuses on national security, homeland defense and foreign operations starting in January. Issa said Chaffetz "has redefined how an incoming member to this committee can be effective and become an instrumental partner in advancing our overall agenda to address waste, fraud, abuse and mismanagement." 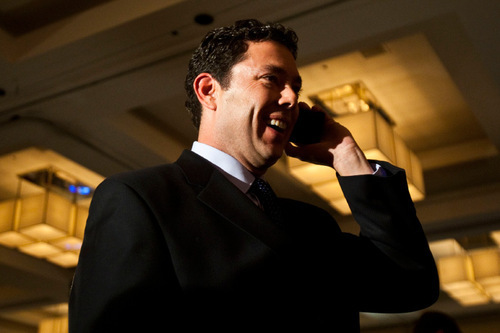 Chaffetz has been the leading Republican on the subcommittee with jurisdiction over the Postal Service and Washington, D.C. He said he plans to continue working on those issues, but will now spend much of his time probing military spending and how homeland security efforts, such as those implemented by the TSA, impact everyday citizens. 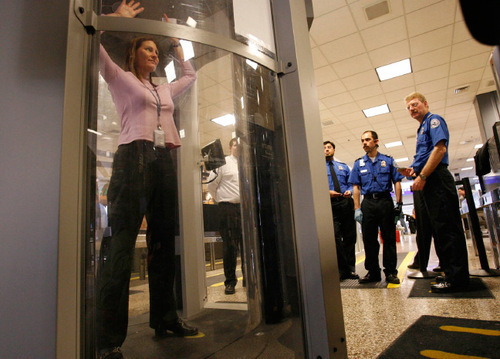 The congressman, first elected in 2008, has been vocal in his outrage over the TSA's whole-body-imaging machines, which allow screeners to peer through a passenger's clothes. He also ended up in a dust-up with a TSA agent at Salt Lake City International Airport after he refused to enter one of the machines. Asked for reaction to Chaffetz's new post, TSA spokesman Dwayne Baird said, "We look forward to continuing to work with all of our congressional partners to keep the traveling public safe." Chaffetz said he also is planning hearings on waste and fraud within the Department of Defense, particularly in regard to the wars in Afghanistan and Iraq. "I understand the volatility of war, but we are talking about billions of dollars in unaccounted-for money that I will be tenacious in fighting for," said Chaffetz, an opponent of continued fighting in Afghanistan. "I can still be rock solid in support of our troops and our nation's defense, but we need to have some fiscal sanity there, too." He hopes the subcommittee chairmanship is a steppingstone to more power in the House. 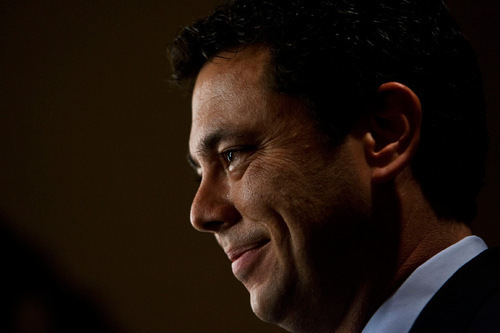 In a conversation with Issa and incoming House Speaker John Boehner, Chaffetz said he wanted to "be on a trajectory, if I stay in the House, to become the next chairman of the Oversight and Government Reform Committee." Issa is starting his second term as the top Republican on the committee. Under Republican rules, a member can lead a committee for a total of six years. "To be able to have full purview of the federal government and go after good government, holding the administration accountable," said Chaffetz. "That is in my sweet spot." 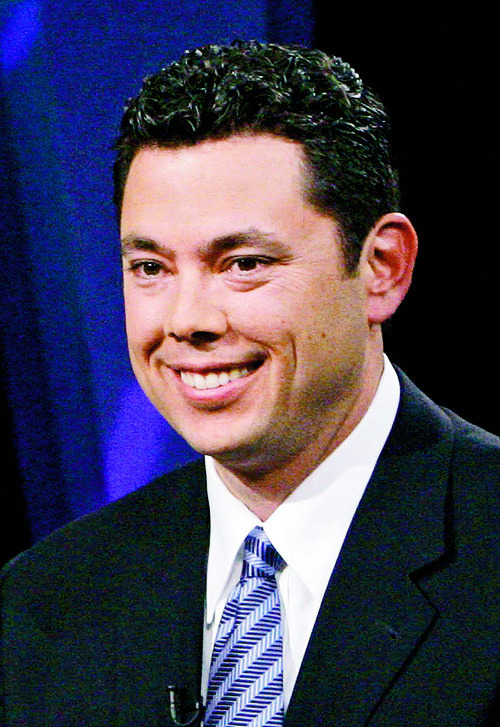 As part of the House reorganization, Chaffetz will keep his spot on the Judiciary Committee but will no longer serve on the Natural Resources Committee. Rep. Rob Bishop, R-Utah, is a leading Republican on Natural Resources and a likely subcommittee chairman, though that has not yet been announced. It appears Rep. Jason Chaffetz is already enjoying his newfound authority with regard to the Transportation Security Administration. The Utah Republican, who soon will take charge of the House subcommittee overseeing the agency, says he forced TSA to come clean on an incident in which a young boy was given a pat-down at Salt Lake City International Airport, prompting the child's frustrated father to remove the boy's shirt to allay any concerns. TSA's initial statement on the incident said the boy set off the alarm on the metal detector, a point disputed by a man who taped the screening and posted it online. Chaffetz says the airport's top TSA official admitted the boy didn't trigger the alarm and the congressman went to bat to get the agency to correct its statement. "I said, 'You guys knew that at the beginning. You lied at the beginning,' " Chaffetz said Friday. TSA's blog now says that the boy was given a pat-down because of bulky clothing and not because metal was detected. "New information was brought to light that indicated the initial report was incorrect," TSA said.